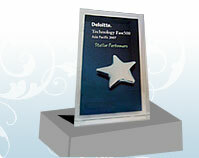 The Deloitte Technology Fast Asia Pacific 500 program recognizes technology compa- nies that have achieved the fastest rates of annual revenue growth in Asia Pacific during the past three years. It covers companies based in Australia, China, Hong Kong SAR, India, Indonesia, Japan, Macau, Malaysia, Philippines, New Zealand, Singapore, South Korea, Taiwan and Thailand. This program is supported by the Deloitte Technology Fast 50, which ranks high-growth technology companies by country or specifically defined geographic area and sponsored by Deloitte's Technology, Media & Telecommunications (TMT) global industry group.